The Italian designers behind one of Melania Trump’s favorite brands, Dolce & Gabbana, have launched a fashion campaign that seems to mock critics who continue to demand they stop dressing the First Lady. After collaborating with Melania on a number of high fashion looks for her first trip abroad with President Trump, as Big Hollywood chronicled, Dolce & Gabbana are proudly blasting their critics by launching their own “#Boycott Dolce & Gabbana” campaign. 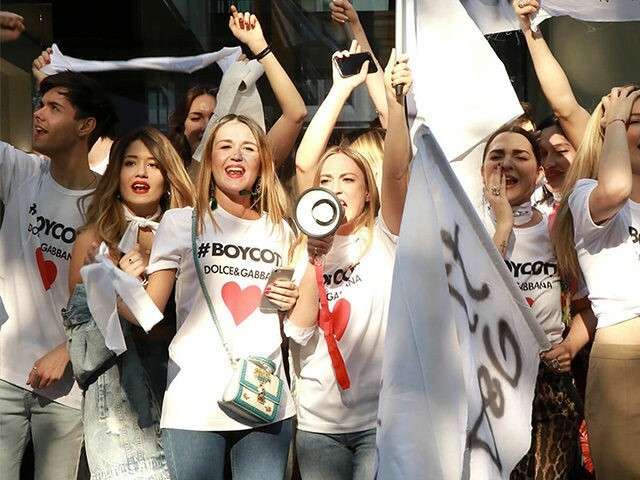 In a fashion film for the new line of “#Boycott” t-shirts by Stefano Gabbana and Domenico Dolce, Italian models can be seen waving protest flags while donning the shirts, which showcase a large, red heart. During one segment of the film, Gabbana, the Italian fashion house’s most prominent supporter of Melania, is seen being interviewed by the press. The new Dolce & Gabbana merchandise and fashion film comes after Stefano openly blasted his critics on Instagram following a barrage of attacks on the designers intended to get them to stop dressing the First Lady. 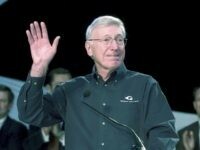 Dolce & Gabbana have become known for continuously bucking the fashion elite’s left-wing, globalist view points when it comes to a multitude of issues. Back in 2015, the legendary gay designers made clear their traditional views, voicing their opposition to gay marriage and gay adoption, shooting down the notion that they would eventually get married. Following the interview, the gay Italian establishment demanded they be boycotted while fashion columnists and critics denounced their views.